At Serrão Rejuvenation Center, we carry a variety of the highest quality cosmeceuticals from around the world. Dr. John Serrão – a board certified gynecologist who specializes in anti-aging medicine – and his team offer professional skin care products for women in Orlando, Winter Park and the surrounding areas of Florida. 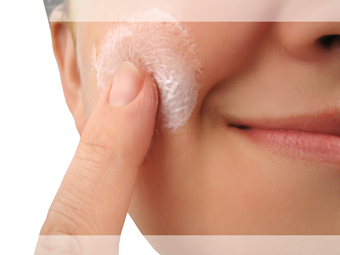 Medical-grade skin care products, some of which are prescription strength, can truly improve your complexion. From the treatment of fine lines and wrinkles to the treatment of acne and rosacea, we have carefully selected skin care products that will meet your individual skin care needs. SKIN CARE IS SIMPLE…cleanse, moisturize, nourish, and protect. When selecting skin care, it is best to choose a product formulated for your unique skin type. We believe that beautiful skin is possible by making good choices for your skin. Drinking plenty of water and eating a diet rich in vegetables, fruit, and essential fatty acids, will help provide your skin with the hydration and nutrients that it needs to be healthy. Adequate rest, sleep, and exercise also contribute significantly to beautiful skin. A healthy lifestyle and a good skin care regimen, combined with a few extra preventative measures, will help make your skin radiant. Serrão Rejuvenation Center has experts in a medical setting who are trained exclusively in the health and beauty of the skin. 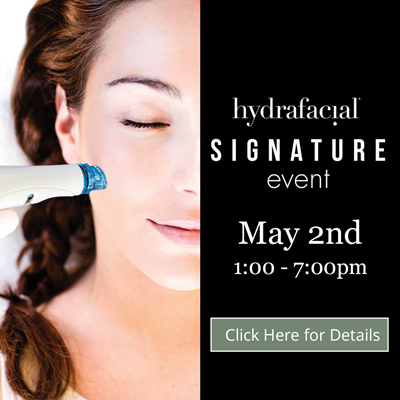 We invite you to schedule a consultation so that we can evaluate your skin’s individual needs and customize a skin care regimen that will help you to have radiant skin that is healthy! specialized treatments. They are designed to capitalize on the nutrient wealth of seaweed, seawater, essential oils, plant extracts, and the body’s ability to absorb and utilize these essential substances for health and beauty. The AquaSanté line is designed to have a lasting and curative effect — not just to offer short-term relief. For more information, visit Cellulite & Fat Reduction. We carry a full range of skin care products dedicated to sensitive skin by Avène. Launched in 1993, the Avène skincare brand was created to capture the healing benefits of the spring to soothe sensitive skin worldwide. Formulated with Avène Thermal Spring Water and bottled directly from the source of the spring in France, the Avène skin care brand addresses the needs of all types of sensitive skin. Colorscience uses micronized miners to offer high-tech sun solutions. Colorescience Sunforgettable is the first SPF 30, all-clear mineral powder with broad spectrum (UVA and UVB and Infrared) sun protection. It is physical sun protection with zinc oxide and titanium dioxide that is stable, instant, keeps your skin cool, and will not absorb into your skin. They are available in refillable amounts. Glominerals proves that powerful, good-for-the-skin makeup doesn’t have to be boring. Glominerals’ advanced formulations combine pharmaceutical-grade ingredients, natural high-pigment minerals and the power of antioxidants with colors that are young, fun, and good for all skin types. The Glominerals clinical skin care makeup line is recommended by Dr Serrão and our skin care experts, who all wear the products. Glominerals provides colors that span the spectrum with products and textures designed to the current fashion trends of the season. Achieve healthier, more beautiful skin while being creative and having fun. Glominerals has been voted Best of the Best in the makeup category by the readers of SkinInc magazine in their First Annual Best of the Best Awards for its innovative approach to makeup. The Glytone Skin Rejuvenation System utilizes pure glycolic acid, the AHA with the smallest molecule size and greatest penetration. Through the use of an exclusive three-step system, Glytone allows you to achieve benefits in the simplest and most effective way. There are products for any skin type. Glytone’s system allows you to reach the highest levels of free acid necessary for true skin rejuvenation. A more beautiful you is yours for the taking from Glytone. LATISSE® solution is a growth treatment for lashes. In fact, it is the first and only FDA-approved prescription treatment for inadequate or not enough eyelashes, growing them longer, fuller, and darker. LATISSE® is a safe solution that will give you the dramatic eyelashes you always dreamed of without irritating false eyelashes, annoying lash extensions or pricey mascara. By simply applying LATISSE® regularly, you will have long, thick, and flattering eyelashes. Talk to Dr. Serrão or one of our skin care experts to see if it is right for you. NeoCutis products utilize Processed Skin Cell Proteins (PSP), derived from a regenerating cell bank. These proteins are rich in growth factors, cytokines, antioxidants, collagen, and other essential nutrients to improve the appearance of aging skin. The PSP® contained in NeoCutis Skin and Eye Creams helps to improve the appearance of aged skin by providing the most complete and balanced combination of human growth factors and cytokines currently available. Developed by leading researchers in Switzerland, the full line of NeoCutis products works in harmony to restore a smoother, softer, and more vibrant tone and texture to the skin. Obagi® is a prescription strength product that transforms your skin. Our favorites are the Obagi® sun protection products and the Obagi® Clenziderm products for acne. It is one of the best medical-grade products in the world. Revision Skin Care is a line of clinically proven technology that will improve your skin health. With amazing products to address specific problems and areas of the face and neck, Revision Skin Care guarantees results. We carry some of their most popular products such as Nectifirm to address the aging skin of the neck and décolletage, Teamine to improve dark eye circles, Lumiquin to improve the sun spots and aging skin on the hands, and Intellishade to protect your skin with a silky tinted broad spectrum sunblock. We love these products! Our latest line of skin care is becoming a favorite with our patients because it provides comprehensive and continuous solutions. Under the guidance of Dr. Obagi, ZO has developed a wide spectrum of therapeutic products, daily skincare solutions and treatment protocols that create and maintain healthy skin. There is a ZO® System for all skin types and ages. Ask our skin care experts how you can discover a lifetime of beautiful, healthy skin with ZO Skincare. Clarisonic MD is an innovative skin cleanser brush for the face and body that uses gentle sonic vibrations to open the pores and remove dirt and devris trom the skin. When used with a daily medical-grade skin cleanser, Clarisonic’s remarkable results are evident almost immediately. Clarisonic MD is clinically proven to eliminate six times the dirt, debris, and makeup of manual cleansing, thus allowing better absorption of skin care products. Use it daily to keep your skin soft, smooth, and healthy. Clarisonic MD was created by the lead innovator of the Sonicare Toorthbrush and was recently named one of Oprah’s “favorite things”. All Physician Endorsed Hats and Sunglasses are guaranteed to provide maximum sun protection. If it has the Physician Endorsed name, you can be sure it has been tested to ensure protection from damaging UV rays. You too can dress like the stars! Paris Hilton, Katie Holmes, Marcia Cross, Veronica Webb, Heather Locklear and others have been seen in the stylish hats and shades. Choose from a large selection of styles in The Boutique at Serrão Rejuvenation Center! Since Serrão Rejuvenation Center opened in 1999, we have learned about and tried many different lines of skin care products. We believe that the products that we offer today are the best in the industry, and can bring effective results to our patients. 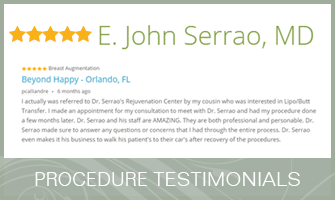 Dr. Serrão understands that every individual’s skin is different, so he and his team will suggest products that they believe are best able to help you achieve your cosmetic goals. Our high quality cosmeceuticals improve skin health. To learn more about professional skin care products for women in Orlando, Winter Park and the surrounding areas of Florida, contact us to schedule a consultation with Dr. John Serrão, a board certified gynecologist who specializes in anti-aging medicine, or a member of his team.